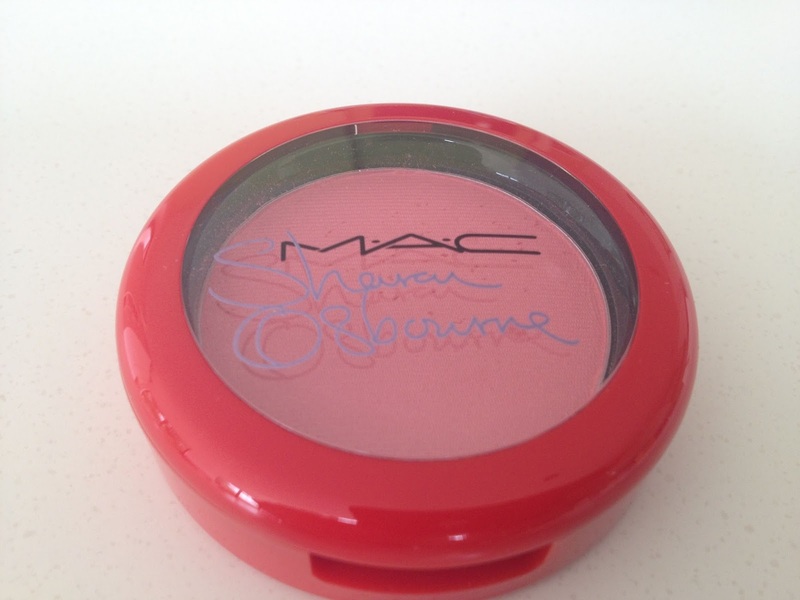 This week's MAC Monday post is dedicated to my final purchase from the recent Sharon Osbourne collection. It is the much hyped Powder Blush in Peaches & Cream. When I read some pre-release posts about this collection it was this blusher that everyone was getting excited about. I will admit that I was so keen to get my hands on this collection that I gave into the hype and added it to my online shopping basket without much thought. I think the name is a little misleading as this is a rose blush rather than a peach one. I assume the name references the idea of creating a 'peaches & cream complexion' - with a natural rosy tone. On me it is quite close to the colour that I turn when I blush. A make up artist once told me this is the shade of blusher you should aim for. (I will admit that I'm not sure about that seeing as I am prone to blushing and don't really want to emphasise it). However it is a pretty shade. 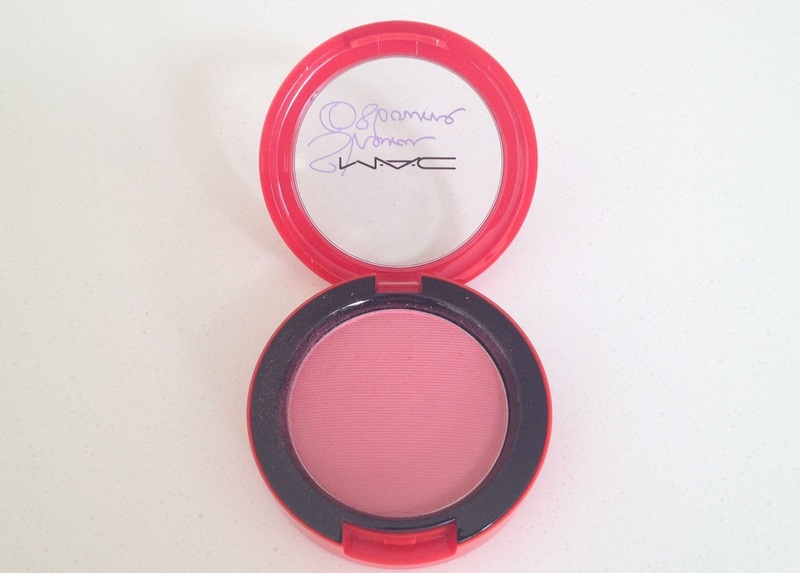 Like the other Sharon Osbourne MAC products, the packaging is red instead of the usual black. It also has Sharon's signature in lilac across it. 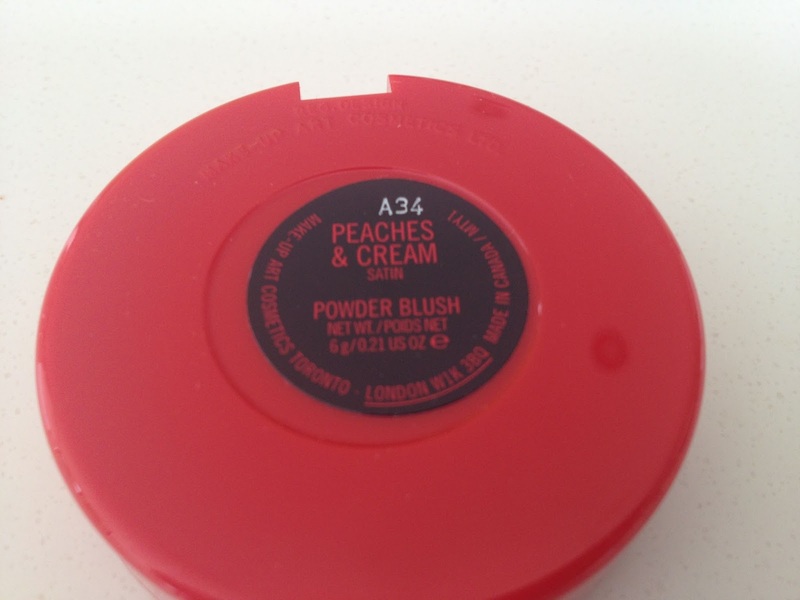 Peaches & Cream is a nice natural blush, although apply it carefully. On my first go I thought it didn't really show up on my skin, and then immediately went overboard and hurried off to work looking a little flushed/rash-like. The staying power is good too, as I could still see my over zealous efforts 5 or 6 hours later. 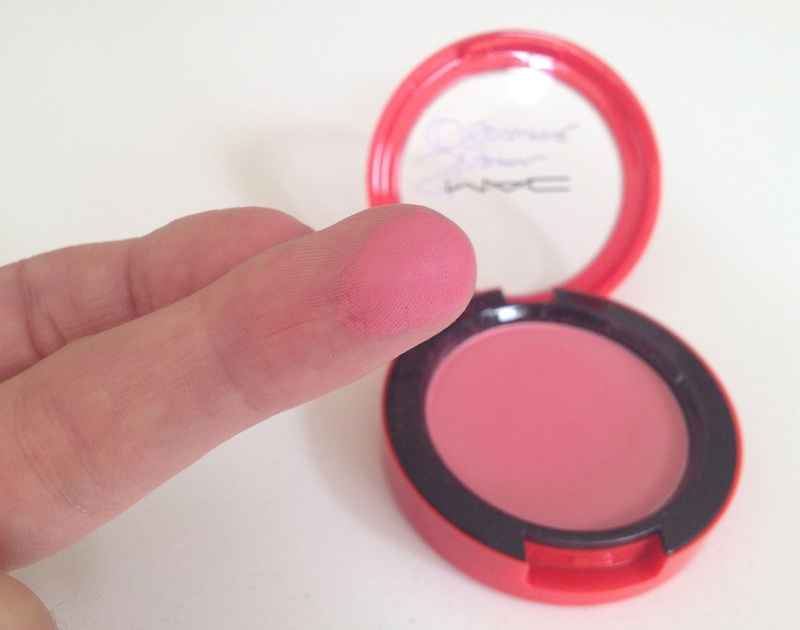 It has a satin finish and therefore isn't too shimmery - it is a perfect daytime blusher. At this time of year I am still favouring all things coral and orange when it comes to lips, nails and blusher (I'm using MAC Petal Power a lot - see my review HERE). But as soon as the weather cools then I will tone it down again and Peaches & Cream will get more use. In fact I think all of the Sharon Osbourne Collection items I bought lean towards autumn in their colouring, as there is bronze, gold, berry, brown and this natural pink. I really did indulge myself with the MAC Sharon Osbourne Collection as I just really liked the colours of the Duchess Eyeshadow Quad (see HERE), the Patentpolish lip crayons (HERE) and the Mineralize Skinfinish in Refresh (HERE). I must start showing some restraint. That said, I have already had a little splurge on next week's MAC Monday item... Be sure to swing by and see what I've given into this time! Check out my other MAC Monday posts HERE!